2013 was a wonderful year of growth for us. It was our first full year of vending in retail shops. This last year we really focused our eye on reupholstering and refinishing fine pieces of mid century furniture. We seem to finally have hit our stride and are very excited about all of the risks, challenges, and rewards to be found in 2014. Here is a recap of a couple of our favorite pieces from each month of 2013. We are both big fans of the Broyhill Brasilia line. Hopefully we will find a similar piece for our home in the future. This was one of the first sofas that we ever reupholstered. 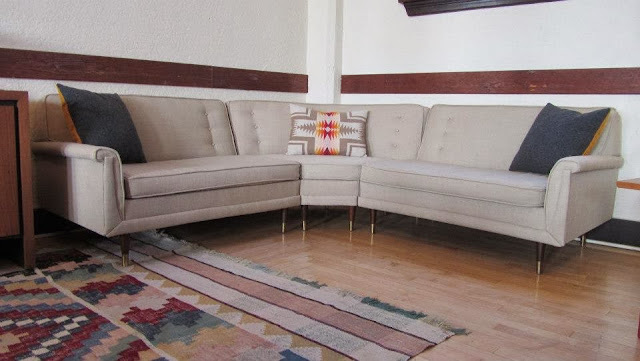 The legs on this sofa are especially unique. Kroehler Avant sectional. Sold on Ebay and sent down to Los Angeles. 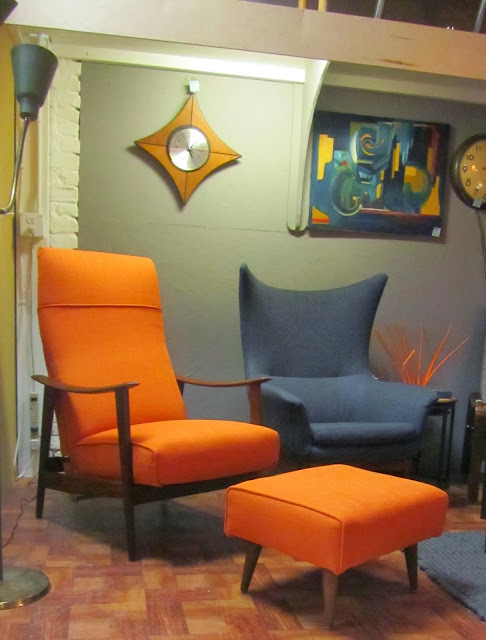 Reupholstered pair of lounge chairs by Ib Kofod Larsen. 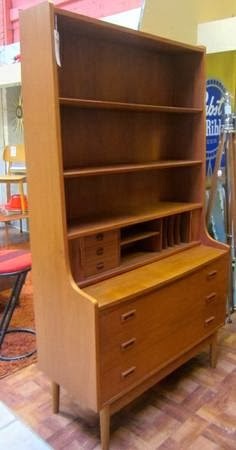 Pair of Borge Mogensen dressers. This was my favorite dining set of the year. Danish teak table with 6 Johannes Andersen chairs. It's always fun to see where our pieces wind up. Here are our Z sofa and chair after I delivered them. Adrian Pearsall lounge chair before and after. Reupholstered Plycraft Mr. Chair. The was our first tufted upholstery piece. 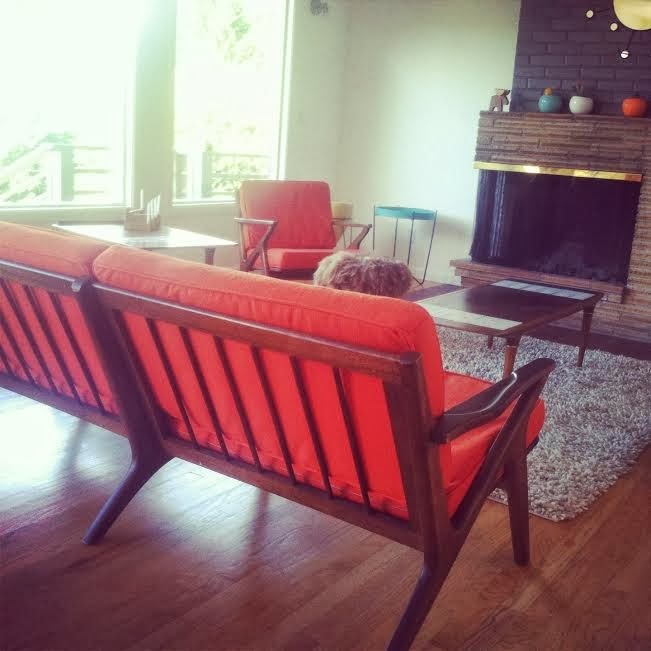 Mid century living room set refinished and reupholstered. Milo Baughman recliner reupholstered in chartreuse fabric. Paoli rocking chair reupholstered in Pendleton wool. Danish teak table with a set of 6 Kai Kristiansen dining chairs. Eames style lounge chair and ottoman reupholstered in Pendleton wool. Adrian Pearsall chaise before & after. Sofa by Folke Ohlsson for Dux before and after. Danske Mobler recliner before and after.